I recently moved into a new flat, and so I got a new set of keys to get into the building. This time, both of them are the flat key type rather than the mixture of types I had previously. This gave me an idea. In the past, I’ve seen people on EDC websites use all sorts of key organisers, and I thought I’d give it a go. There are a lot out there – so I’d recommend having a good look around, but I decided that the KeySmart would be a safe choice for me. I only have two keys and I am not too worried about having anything super hard-wearing like titanium. 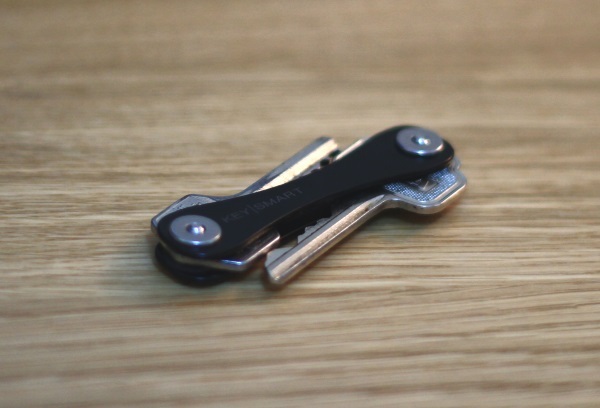 With the KeySmart you get two scales, a number of washers (depending on which model you get), a loop for attaching to other keys, and screws to hold it all together. I’ve only had it set up like this for a few weeks now, so I haven’t found out if there are any other issues (for example, I never want it to come apart and lose my keys). But in the time I’ve had it, I have been very happy. I’m not in a rush, but I have been tempted to get some keys with a black finish cut especially for this. Think that would look good?